The rarest and most astonishing cars of recent years will line up as part of a new ‘Future Classics’ feature at this year’s Concours of Elegance. Crowned by the completely bespoke, one-off Rolls-Royce ‘Sweptail’, the collection will also include two of the rarest models ever to wear an Aston Martin badge and a unique McLaren Senna. 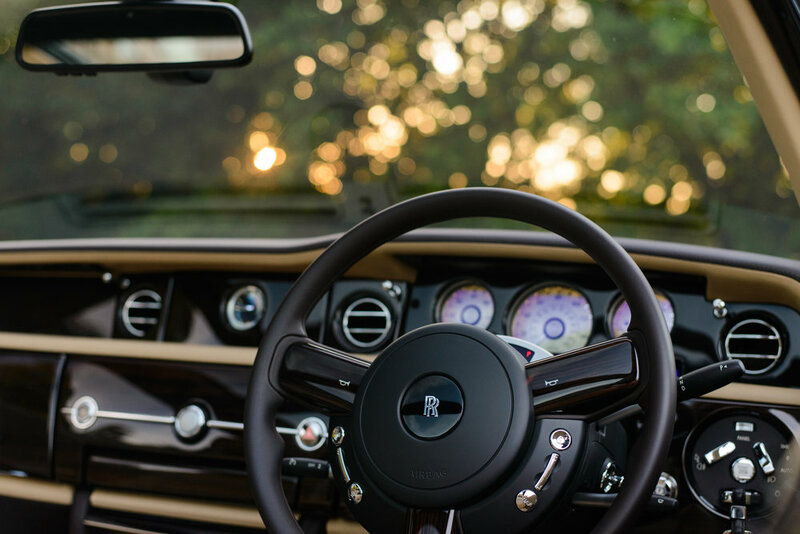 Upon its reveal on the shores of Lake Como in May 2017, Sweptail heralded a remarkable milestone for the iconic British marque Rolls-Royce. This most striking motorcar was commissioned by one of the world’s foremost exotic automobile collectors and made history in being the first in-house designed and fully coachbuilt Rolls-Royces in over half a century. It is also one of very few two seater Rolls-Royces to have ever been created by the marque since its inception in 1904. Sweptail's wonderful sense of occasion, enhanced by the owner’s personal attention to detail, is perhaps best demonstrated by the secret his and hers attaché cases that deploy on command from the B pillars and to cap it all, a centre console that effortlessly deploys the owner’s favourite Dom Perignon vintage Champagne, chilled, along with two fine cut crystal flutes. Joining the Sweptail is a car that is the product of one of the oldest partnerships in automotive design history; Aston Martin and Zagato. This relationship stretches back more than six decades, kicked off by the gorgeous DB4 GT Zagato, and is still flourishing to this day. The Aston Martin Vanquish Zagato Speedster, on display at Concours, is the very latest example. The Speedster is one-of-28 due to be built, combining a beautiful hand-crafted open-top body with the 592bhp 6.0-litre V12 found in Aston Martin’s Vanquish. It’s also part of a family of Vanquish-based Zagato models, including the Coupé, Volante and Shooting Brake. Sitting alongside the Vanquish Zagao Speedster will be the Aston Martin V12 Vantage V600 Coupé. Aston Martin will build seven coupé and seven convertible variants of the V12 Vantage V600, complete with full carbon fibre body and 592bhp 6.0-litre V12 engine. Designed as the ultimate send-off for the previous-generation Vantage, the V600 is only available with a seven-speed manual gearbox. Representing McLaren will be perhaps the most striking example of its latest Ultimate Series road car; the very first Senna to leave the McLaren Technical Centre in Woking. Only 500 Sennas will be built, but this car is finished in a totally unique ‘MSO Aurora Blue’ and MSO ‘Anniversary White’ paintjob that took the team at McLaren Special Operations more than 600 hours to complete. Powering this unique Senna is McLaren’s twin-turbocharged 4.0-litre V8, producing 789bhp and 590lb-ft of torque. 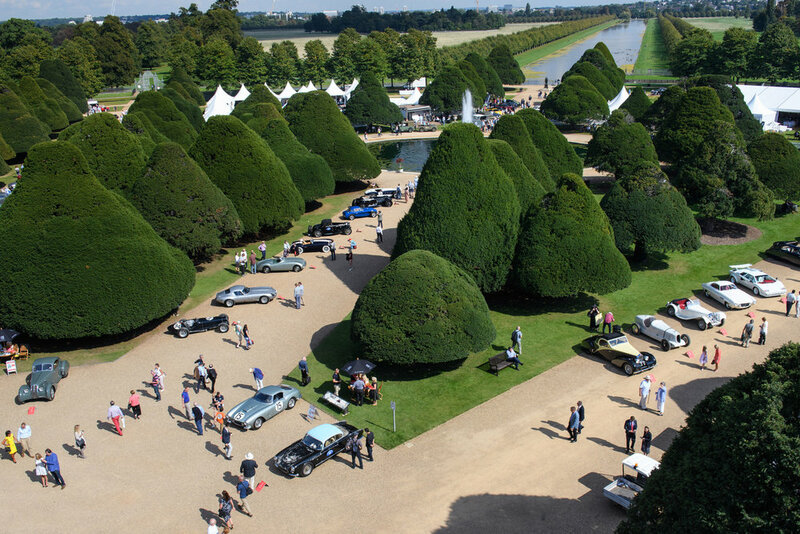 Concours of Elegance is working in conjunction with a number of organisations to offer bespoke experiences for visitors, including the Octane Tour, held on Sunday. To join the Octane Tour contact iain@thoroughevents.co.uk. The Concours has also partnered with Tom’s Kitchen – founded by Tom Aikens – to offer new deli picnics for visitors. Presented in individual jute bags, the picnics will include a substantial chicken or vegetarian main course plus salads with a generous cheese and fruit box and a delicious strawberry and white chocolate dessert.